Please choose whether you’d like to donate once or monthly. The Monastery of St. Therese is a 501 (c)(3) tax exempt organization. Therefore, all donations are tax deductible. We will provide a tax receipt for your donation upon request. 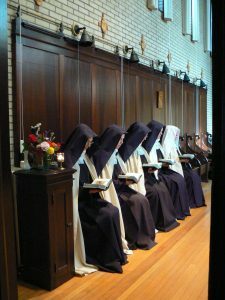 The Nuns pray daily for all of our benefactors. May God reward your generosity!